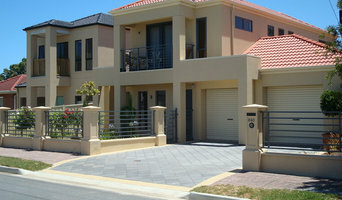 Manufacturers of Cast Sandstone Products including Fence Pillars Architectural Columns and features and Sandstone Letterboxes and fittings. 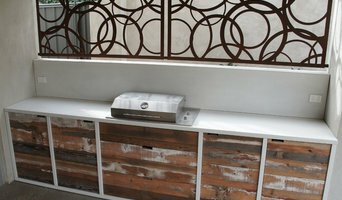 Specializing in outdoor kitchens and bars, custom indoor and outdoor furniture utilizing materials ranging from polished concrete to reclaimed timber to stainless steel to corten. Custom made polished concrete bench tops for kitchens (inside and outside), vanities, bars, restaurants and furniture are a speciality. At Concrete House we can tailor make to your specifications or we can design something for you, have as little or as much input as you like. We specialise in personalised hand crafted concrete designs. We offer you distinctive hand crafted concrete centre-pieces for your home, outdoor areas, office, commercial and public spaces. The Team are passionate and dedicated to ensuring that the best outcome is achieved for the end result of your masterpiece. This outstanding Premium Designer Living collection of custom built cabinets, splash-backs, wardrobes, shower screens, mirrors and accessories are designed and manufactured locally in Adelaide, South Australia. Premium Designer Living creates solutions for kitchens, bedrooms, bathrooms and laundries by bringing their latest design options together with your ideas. Custom shelving systems provide flexibility for storage needs throughout the entire home. On display at the Dry Creek showroom is a comprehensive range of up-market products and beautifully crafted cabinets which are manufactured on-site using high quality materials and exacting standards of workmanship. Options and finishes are unique, affordable and guaranteed to impress! Handyman, Customised furniture, Outdoor Living, Design & Construct, Esentially We Speacilize In New Or Existing Covering Most Of S.A If You Have The Idea Or The Plans Then At D&N Yes We Can Be Of Assistance To Achieve Whatever It Is You Plan . If you aspire to move to Australia and build a remarkable career and get the most comfortable life, we at Immigration Agent Adelaide will help you choose the right visa stream from the number of available options.We will first analyze your situation and depending on your needs will help you migrate to the wonderful nation smoothly. Our migration experts can help you best in getting the right category of Australian visa and will guide you through the entire procedure. We also help our clients get the Australian citizenship however the entire process may vary depending on your visa and residential history in Australia. We offer a one-stop range of Services including Domestic Renovations, Commercial Refurbishment projects and fit-outs, External Landscaping Services; Domestic and Commercial Cleaning and Concierge Services. We are fully experienced, licensed and insured; offering you great peace of mind. We are small enough to care deeply about what we do, and large enough to ensure an outstanding level of Service. We provide pre purchase building inspections to give clients peace of mind and help protect homeowners in Adelaide when purchasing a property. Experienced and accurate, we identify any problems and give you peace of mind when purchasing. Safehome Property Inspections will thoroughly look over the building and will send a comprehensive report the following day. Our inspectors have years of training and experience. 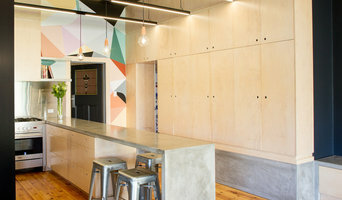 Since 2015, Top Coat Painters in Adelaide has provided countless homes and businesses with timely, quality transformations delivered at reasonable prices. We owe our reputation to our exceptional customer service and integrity. We do the job as it should be, the first time. Since 1962, the Energy Efficiency Centre has helped literally thousands of customers create beautiful and efficient living spaces. We are specialists in bringing in natural light and ventilation and controlling the flow of energy into and out of living spaces. We offer expert advice on how to improve energy efficiency across existing and new-build homes, commercial and industrial locations. Using only the leading brands, we have got all your energy solutions covered from window film, insulation, skylights and roof windows to cladding and solar systems. By providing, installing and servicing only premium quality products, we maximise the comfort of your residence or commercial location to consistently save you money. About Gotcha Glass in Adelaide Gotcha Glass Pty Ltd is an Adelaide owned and operated medium sized business. We have been servicing the Adelaide and South Australian market since 2006. Gotcha Glass are committed to providing quality service to both the residential and commercial market. Our showroom and factory are located at Salisbury North but we do service the whole of South Australia, from North to South and East to West. With our growing fleet of glaziers on the road every day, we provide a fast and reliable service. The majority of the time we can provide a same day service or the following day service. Why Choose Us? We are committed to providing professional customer service and the highest quality service to our customers at a competitive price. Our Adelaide glaziers have many years of experience in the glass industry, so ask them for their expert advice. Next time you require glass or aluminium work, give us a call on (08) 8250 1642 for a free measure and quote. 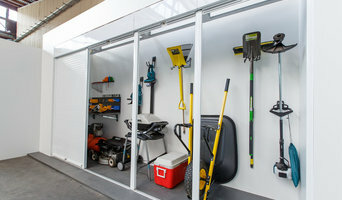 Visit Our Adelaide Showroom We have a showroom located at 1/27 Playford Crescent Salisbury North. Come visit our expert staff and put a face to the voice. Our showroom features glass splashbacks with our limitless colour range on display. We have hundreds of colours to choose from and an endless array of patterned glass splashbacks for those people who want ‘that something different’ or want the ‘WOW’ factor. We have a huge range of glass types on display, from decorative glass (patterned obscure) to energy efficient glass to out large range of mirrors available. Also on display at our showroom are our frameless showerscreens, with many options, from the glass to the hardware. Semi-framed showerscreens are on display also. Gotcha Glass also offers tinting of your home or business (sorry no motor vehicles). All of the popular tints are on display as well. Stay tuned for more displays coming soon. Call our friendly expert staff today on (08) 8250 1642 and they can help answer your questions. As they juggle your demands and the work of home builders, the Prospect, South Australia building project manager often benefits from a construction industry background. This may also assist you when you need to hire additional contractors. Look in the Professionals section of our website under Prospect, South Australia specialty contractors, then select the nearest metro area for a contractor. You can also look through South Australia photos of completed projects to see how a contractor might approach design challenges.